Montjuic: how to get there and what to do - plus: cable car funicular fun! Montjuic is a prominent hill overlooking the Barcelona harbour. For ages, it played a strategic part in the defense of the city and it’s one of the city’s natural elevations. Nowadays, the area is a touristic magnet for Barcelona. 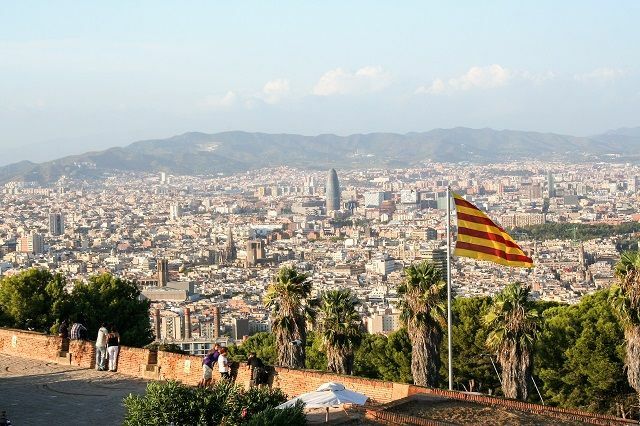 There are so many things to do in Montjuic you just can’t miss on your trip to Barcelona! 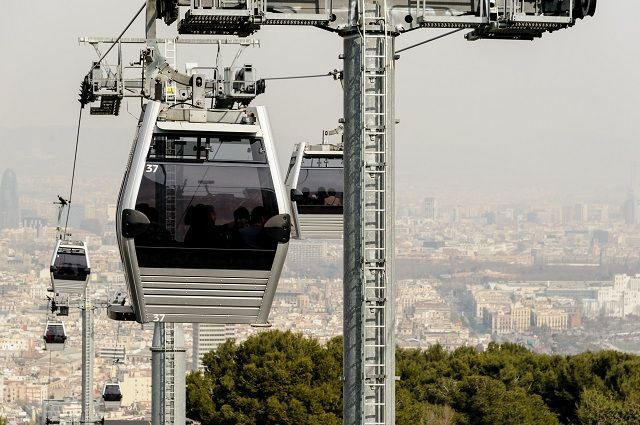 Right next to the funicular Station, lies the Montjuic’s Cable Car. 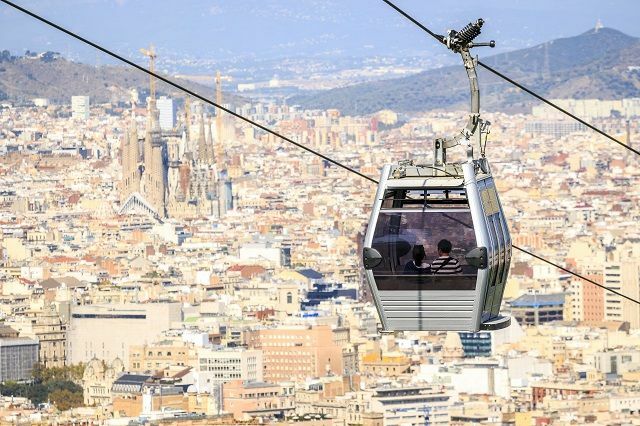 This ride takes you directly to the castle of Montjuic with photogenic views of Barcelona. Option number two, is taking regular bus #150 which also stops at the castle. Did you know that at the time of the Montjuic’s Funicular opening in 1928, it was said to be the fastest cable railway in the world? It moved around 6000 people in just one hour! Built in 1931, this cable car system is located in Barceloneta. The journey lasts around ten minutes and it’s the fastest way to get to the mountain from Barceloneta Beach. 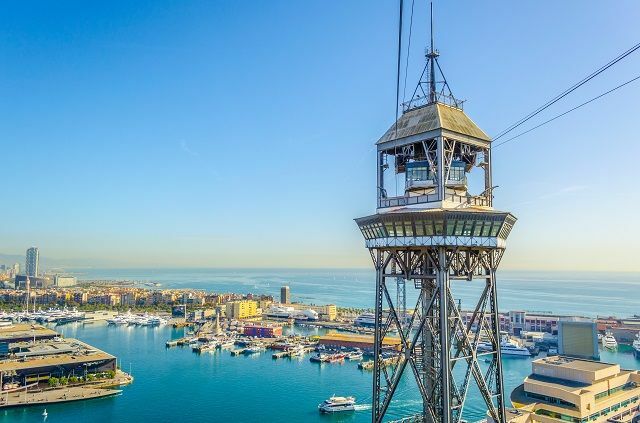 The view of the seaport and Barceloneta from 70 meters high is priceless. 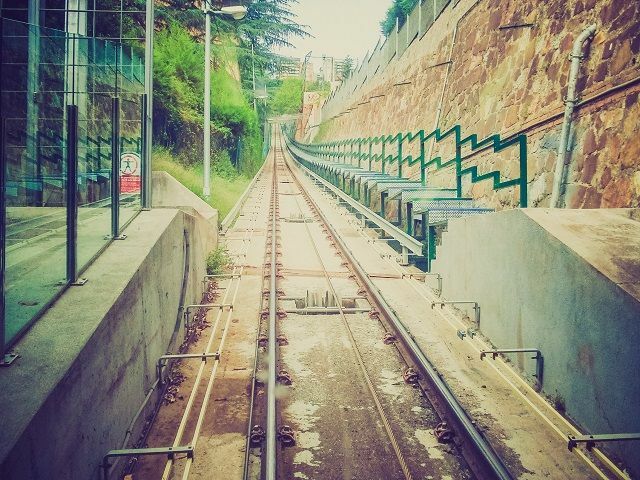 This funicular railway connects Montjuic with the Metro Transportation system at Paral·lel Station, Lines 2 and 3. It’s the fastest an easiest way to get to Montjuic when you’re travelling by Metro. The ride takes less than 5 minutes from Paral·lel Station and is already included on your regular Metro ticket. We recommend starting your journey right at the top of the mountain. In the castle you can enjoy breathtaking views of the Barcelona harbour. You can take a 360º tour and enjoy some of the continuous exhibitions showed about the Castle’s history. There is a snack bar service as well as restrooms. General admission / ticket price: 5€. Entrance is free every sunday after 15:00 hs and the first sunday of each month (for the whole day). Closing time is 18:00 hs. 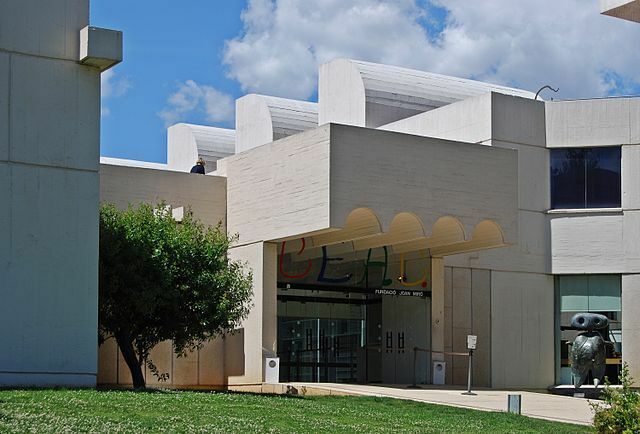 If you keep heading west on Miramar Avenue, you’ll find 400 meters ahead this Barcelona museum, dedicated to the one and only Catalan artist Joan Miró, featuring works from every stage of his career. 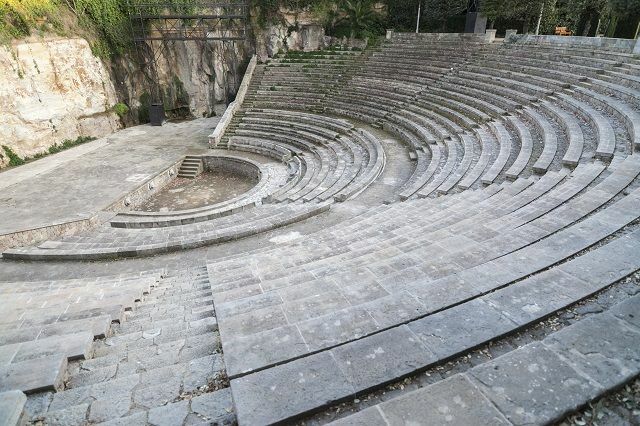 These park was also built for the 1929 International Exposition, and features a famous amphitheater that hosts performances at the Barcelona Grec Festival. 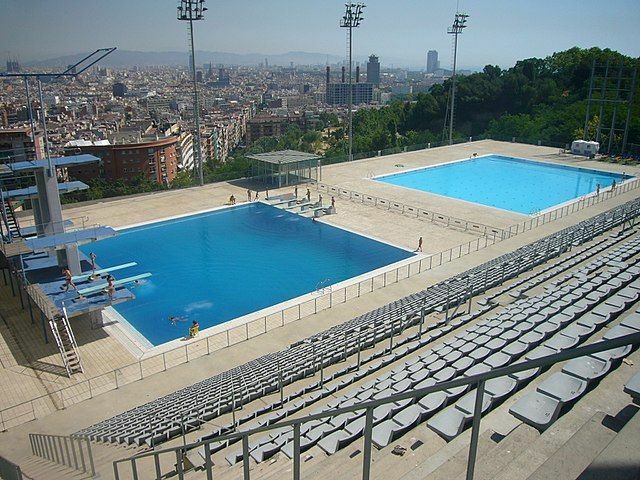 Right on Miramar Avenue and located diagonally to the Funicular, these pools hosted the diving and water polo events at the Olympics and in 2003, became the set of Kylie Minogue’s music video for “Slow”. Many of these attractions were constructed in order to celebrate the 1929 International Exhibition, however it is believed that before it was turned into the big park of today, there was a jewish cemetery somewhere around the mountain, therefore earning the name of Montjuic, meaning “jew mountain” in catalan. Join this tour and learn all the secrets to Barcelona’s “Jewish Mountain”.